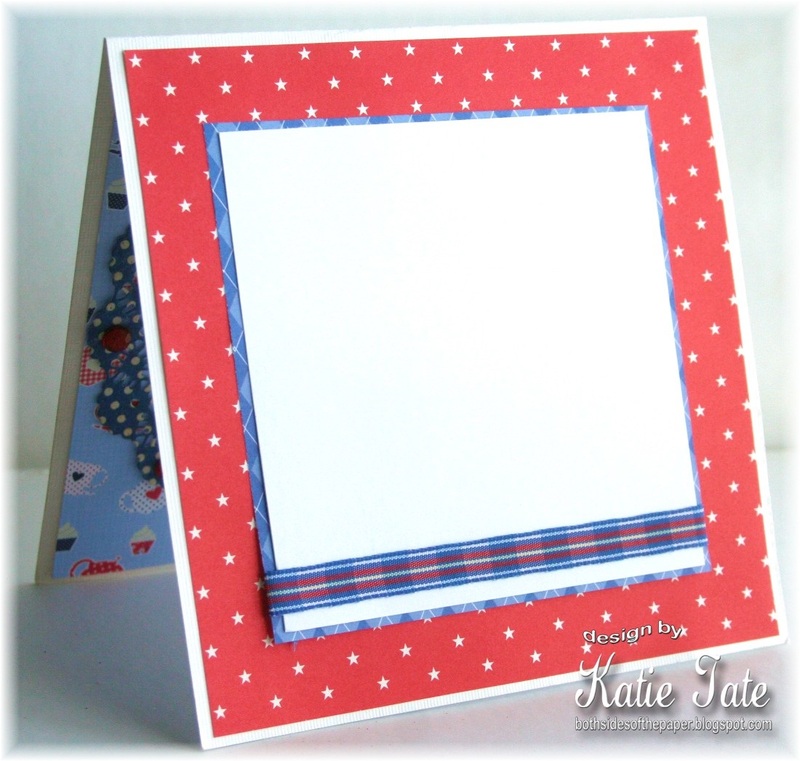 Wednesday means a new Inky Impressions Challenge and this week we want to see you using Red, White and Blue! It doesn't have to be a Patriotic card, just use the 3 colors together and you are good to go! I decided to go back home to Great Britain for my card and got to use some of the crafting goodies I bought last year when we went home for the Summer. Doesn't Lili look great and that sentiment is just so apt as we Brits sure do like our tea! I've always thought it nice that the two countries I have called home have the same colors in their flags and so today I remember the last day of British rule and tomorrow I'll join in and celebrate America's Birthday! So now it's your turn and to get more inspiration run over to the Inky Impressions Challenge to see my teammates creations. What an absolutely fun and fantastic card! So cute! I love that you colored her toe nails and finger nails red! I have a thing about teacups so I love the paper you used! You're right, the sentiment is perfect. Thanks for joining Party Time Tuesdays. Hope to see you next week. OMgoodness! Your card is simply adorable. I love the coloring and the little added embellies. Thanks so much for showing us your colors at Crafting By Designs. What a red, white and blue and patriotic card!! Lilli is too cute and beautifully colored!! Thanks for joining the ODBD Shining the Light challenge this week!! Hooray! What a great fun card. Made me smile as soon as I saw it! Just had a cuppa too! Thanks for sharing this with us at Gingerloft! Oh this is adorable and gorgeous too. This is so sweet. Love the image eand you did a great job coloring her I love it. What a fabulous card and your design and attention to details are great! Great card hun, love the layout & the doily looks fab! Thank you for sharing with us at The Stamping Chef this fortnight, good luck! Gorgeous colouring, LOVE those buttons! 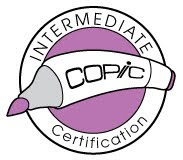 Thanks for joining us at Clearly iStamp for the colour challenge. Dawn Frost guest DT. 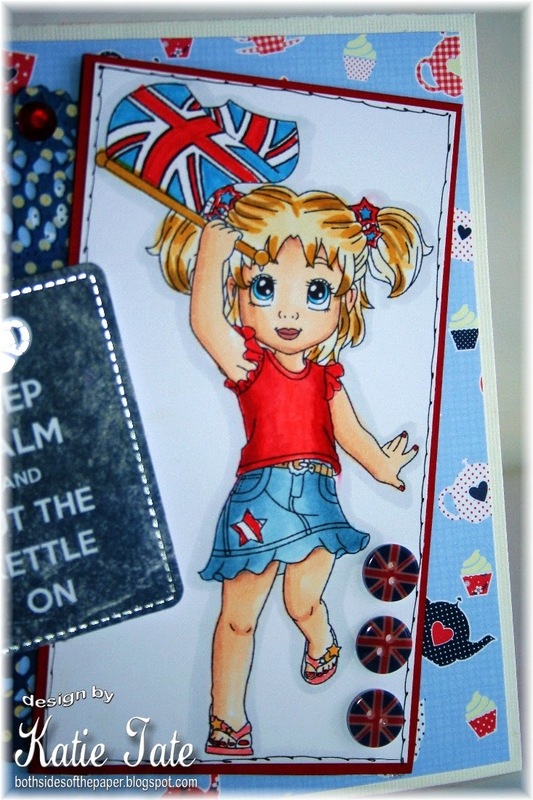 This is a fantastic card... just love everything about it... thanks for joining us for the red white and blue challenge at the stamping chef..
Ha ha, love the sentiment! AND your coloring, of course! :) thanks for sharing with us at Craft Your Passion! Totally beautiful and cute card. Love the design. Awesome work! Thanks for joining us at Scrap It Girl. Fab true Brit card Katie which is also just right for our challenge this week at Crafty Sentiments Designs !! Thanks so much for joining us this week !! Your coloring is amazing. love the shadows. Like how you kept with tea theme and have a doily on there. Cute. Thanks for playing in Clearly iStamp Challenge #1 - Red, White and Blue Color challenge. Hope to see you tonight when Challenge #2 will be posted. Sweet work!LOve the bold choices! Fabulous card. Thanks for sharing at LovesRubberstamps!!! Your card is absolutely adorable. 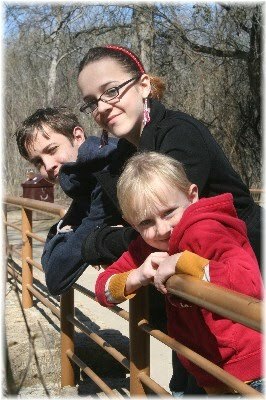 Love that image. Thanks for joining us at Get Inky! Super cute Katie and especially love those buttons. Thanks so much for joining us at Crafty Sentiments this week and hope all is well my friend. Hugs! Super cute card and your coloring is just awesome! Thanks for joining us at Mema's Crafts for our patriotism challenge and good luck! Hope you will visit and play with us again. Fabulous card, love the coloring job and all the details ! Thanks for playing with us at Loves Rubberstamps! Just popping back to say thank you for joining us at Simon Says Stamp challenge. This is really such a cute card with all the lovely little details! 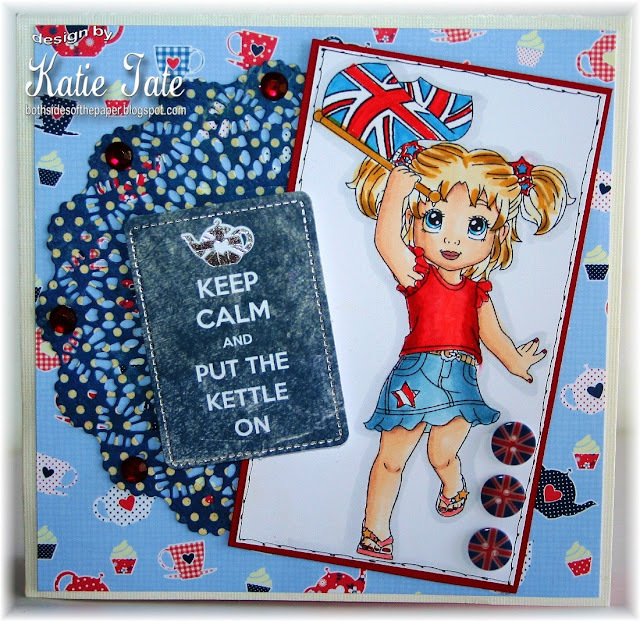 Thank you for joining our Happy Birthday America – Show us your Colours Challenge at Crafting by Designs! This is so cute! Thanks for playing along at Scrap It Girl! Super cute! Thanks for playing along at Scrap It Girl. Wife and Mother, Daughter and Friend. Englishwoman living in the TX heat. I love to create things with paper, glue and all that jazz!